Luca Paolini won Stage 3 of the 2013 Giro d’Italia today. The Katusha rider finished alone after attacking in the final, tortuous kilometers. 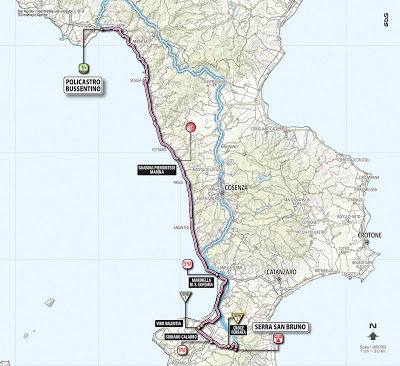 After 5 hours 44 minutes of racing along the stunning coast road of the Amalfi Coast, Paolini crossed the line 16 seconds before Cadel Evans (BMC Racing) and Ryder Hesjedal (Garmin Sharp), who led home the group of overall contenders. 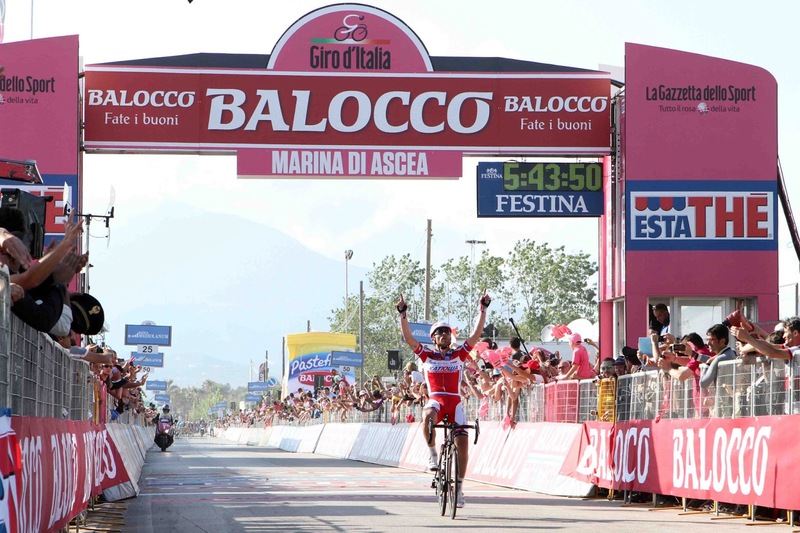 The win brought him both the Maglia Rosa of the overall race leader, and the Maglia Rossa of the points leader. There were several crashes on the final, and technical, descent to the finish. One of these was Michele Scarponi who was in the lead group that was chasing Paolini when he crashed. Unfortunately, he had no teammates with him and had to wait for one to arrive for a bike change. 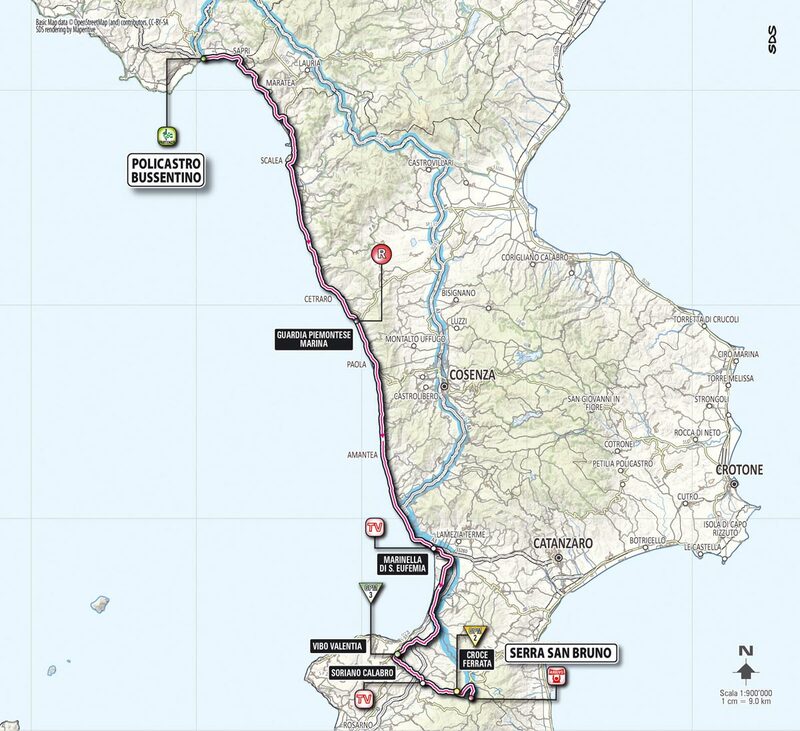 "I lost seconds, I know, but Giro is still very long," commented Scarponi after the race. "This does not mean that I'll attack in every stage. I did not get injuried in the crash, only some bruises". 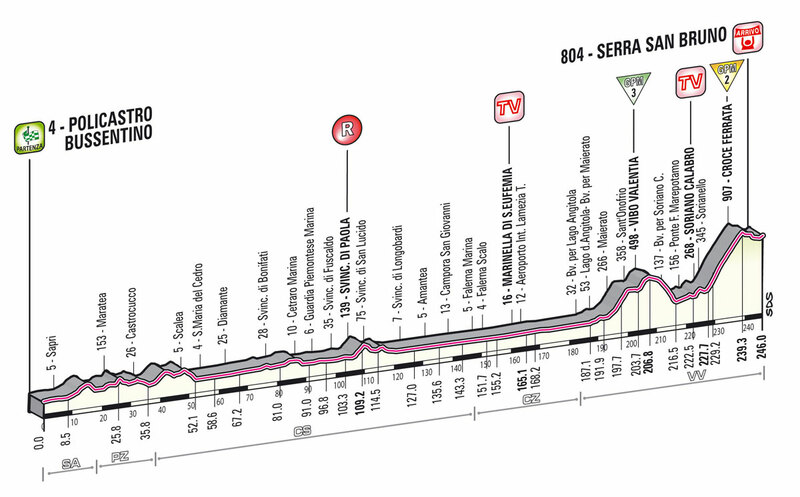 Tomorrow: the Giro's longest stage, 246 km from Policastro Bussentino to Serra San Bruno.Near the finish are two climbs, Vibo Valentia (14.9 km at 3%, 10% max) and Croce Ferrata (12,8 km atl 5,5%). Loved the descending today! Really exploited those in the pro peloton who lack serious bike handling skills and highlighted those who can carve down a mountain road... I counted 12 who ran off, there were probably more not caught on camera. Ryder, Evans, Paolini and Co. showed how it is done. Notice the best handlers are usually always the ex-mountain bikers! It's no secrete why. 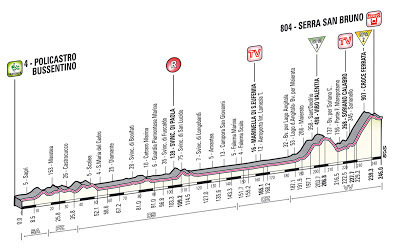 So far, the Giro is delivering! Tutto il Rosa!!! Impressive display today of descending skills. You have to ride along side a pro to appreciate it....it's crazy!